Perfection of Wisdom Sutra in One Hundred Thousand Lines (Skt. 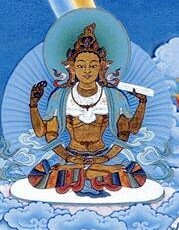 Śata-sāhasrikā Prajñāpāramitā) is the largest of the Prajnaparamita sutras. In Tibetan it is referred to simply as 'The Hundred Thousand' (འབུམ་, bum, Wyl. 'bum). This page was last edited on 27 November 2017, at 03:15.